In 1947, that the Dutch national motorcycle federation hosted an international “scramble” for teams from Great Britain, Belgium and the Netherlands, and called it a “moto-cross.” While the sport’s popularity grew steadily over the next 25 years, one thing that remained constant was the frustration of off-road biking in the Netherlands. The lowland dunes and fields offered the perfect terrain for riding, but the stock paper air filters of the day were no match for the sandy, gritty soil. There was a paper filter with a single layer of foam, but even that didn’t cut it for protection; after 30 minutes it was shot. In 1972, the motocross world was given a historic boost by a revolutionary product: a laminated, dual-foam air filter that, when soaked in a special oil, allowed free airflow into the carburetor while keeping dirt, grime, sand and water out of it. It was effective, durable, washable and reusable. It took off, and the little start-up company that invented it, called Twin Air, hasn’t stopped ever since. Evolving continually with motorcycle design and technology, Twin Air filters and accessories have stayed ahead of the competition for half a century. Today they are available for all Motocross and ATV vehicles, and distributed worldwide. 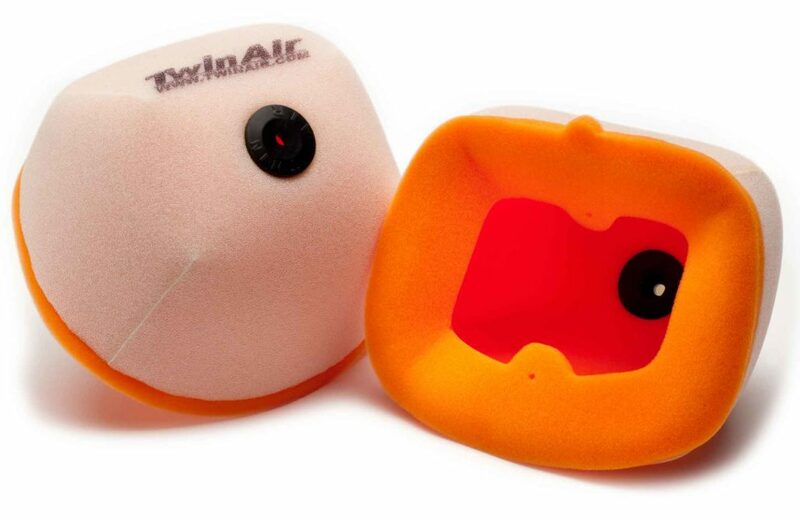 Twin Air filters are OEM-specified for 20+ motorcycle companies, and the official air filter of American Honda and Suzuki, Kawasaki Racing Team, Suzuki Geboers, Honda Martin and Honda CAS, KTM Red Bull, and many other teams. It remains the choice of more World & National Champions than all other filters combined. 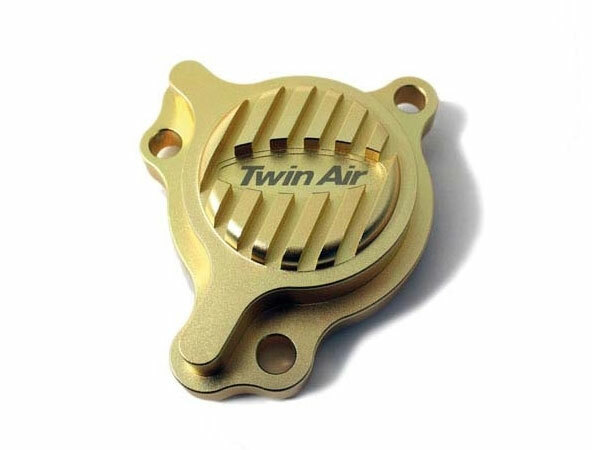 Pre-Oiled Air Filters: For many years, Twin Air Factory Pre-Oiled filters were only available to our top professional race teams and OEM customers. The results were so good that we now offer the same factory treatment to everyone. We start with an Original Dual-Stage Air Filter and completely submerge it in BIO Liquid Power Filter Oil. After the filter is massaged to ensure all pores are evenly coated with oil, it’s placed in a temperature-controlled room to allow the oil to completely cure. You just open the resealable bag and install. Oil Filters: The company that set the clean air standard for your engine extends their expertise to oil filters. Now there’s only one name you need to remember for maximum protection, performance and value in all of your filters and related products: Twin Air. Liquid Power: The original formula that set the standard of excellence in air filter oils. 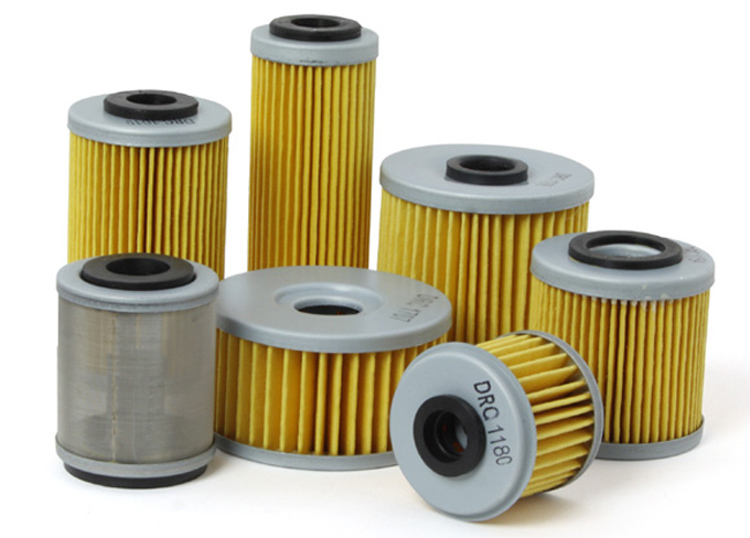 Many filter oils have a tendency to drain to one side, leaving part of your filter unprotected. Blue Original Liquid Power starts thin for deep penetration, then dries evenly to microcoat the foam cell walls with a shield that repels dirt while accelerating airflow. 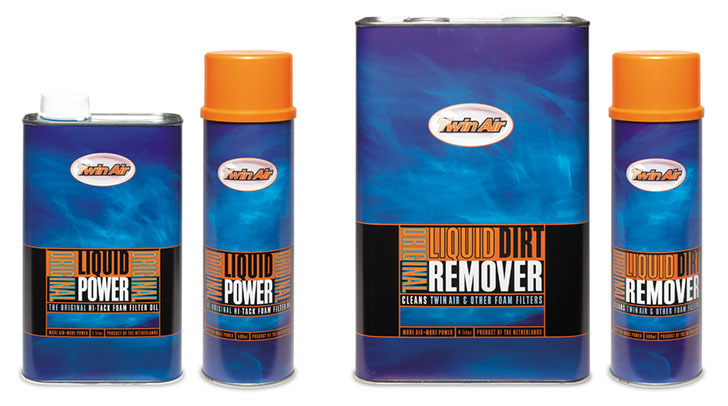 Dirt Remover: Formulated to quickly cut through Original Liquid Power, loosen the dirt and flush your filter clean. Will not harden or damage filter foam like solvents and gasoline do. Airbox Cover: Prevent water and cleansers from entering your intake when you clean your airbox. 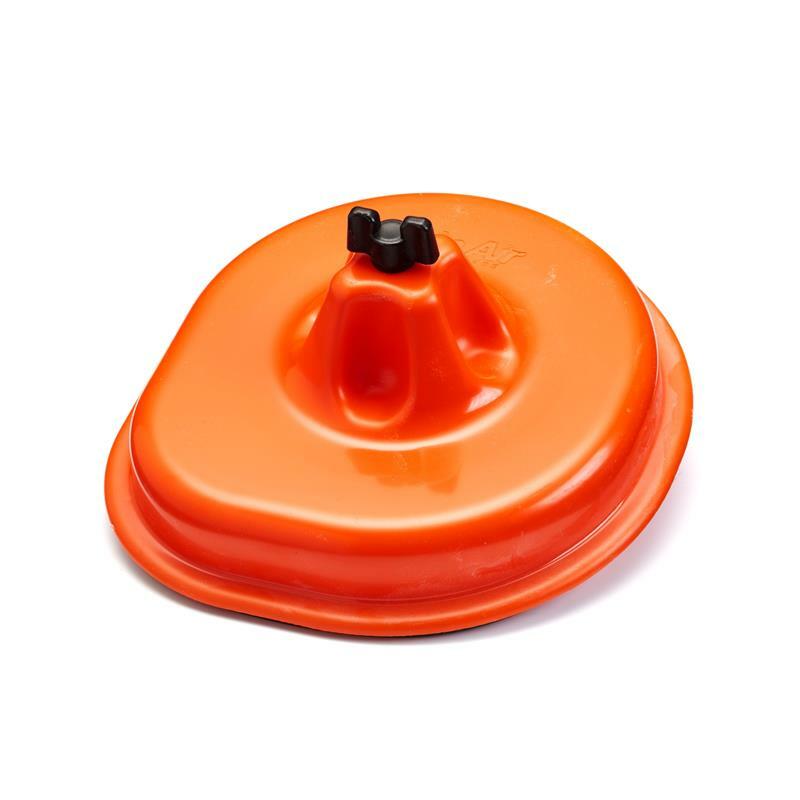 Tough, durable ABS plastic with a new, double-seal neoprene ring that compresses tight against the airbox for a perfect, leak-free fit. Includes mounting screw. 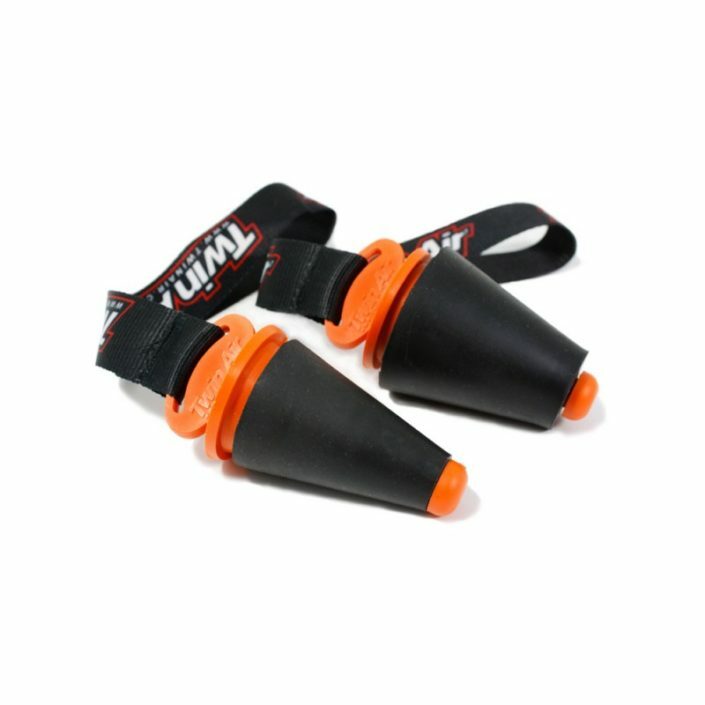 Exhaust Plug: Softer, fiberglass-reinforced rubber “floats” around the durable plastic core, allowing you to simply twist the plug into the exhaust to create a secure, leak-proof seal. Attached lanyard makes it easy to find and store. Available for 2 and 4-stroke. Oil Filter Cap: Cooler in every respect. Die-cast aluminum fins are designed to cool better than your stock cap, and anodized in a champagne color to give your bike the finishing touch. Available for current 4-stroke models.